“These are the early signs of how a democracy can be undermined and destroyed,” Dr. Anna Ornstein told a crowd at Chabad in Peabody. 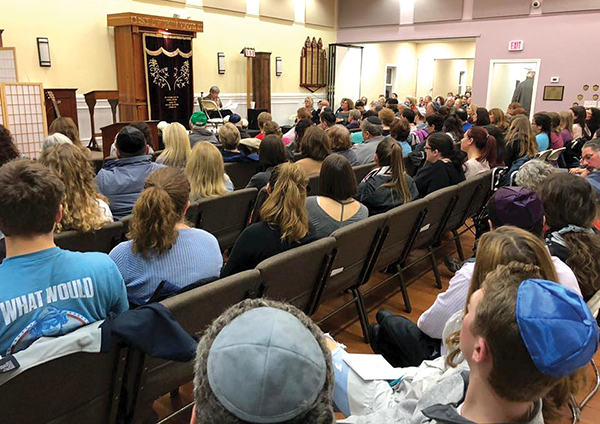 NOVEMBER 15, 2018, PEABODY – In a driving rain on a pitch-black moonless night, more than 200 people jammed into Chabad of Peabody on Nov. 6 to listen as 91-year-old Holocaust survivor, Dr. Anna Ornstein, tried to help them make sense of what they were all hurting from – the massacre of 11 Jews in the Tree of Life Synagogue in Pittsburgh 10 days before. If they were hoping to hear soothing words, that it was a one-off, that it wouldn’t happen again and they could go back to business as usual, they would have been mistaken. To the audience, the distant tragedy of the Holocaust on this bleak night felt close. Ornstein, a retired Brookline psychoanalyst and lecturer on psychiatry at Harvard Medical School, sat on the stage looking out at the crowd. Slender, with short cropped salt-and-pepper hair, she spoke with a strong voice and penetrating eyes as she related her childhood at the hands of the Nazis. “I was born in a small Hungarian village of 4,000 people, mostly peasants, and 40 Jewish families. There was no electricity, no cars, no phones,” said Ornstein. “The fate of Hungarian Jews was different from others.” The country had been relatively safe until March 1944, and then Hungarian Jews began to be deported. 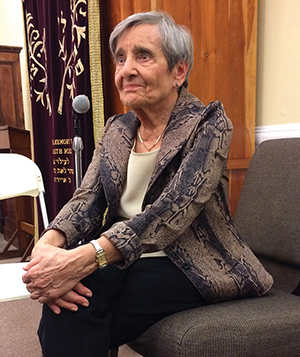 Ornstein was 17 when her family was brought to Ausch­witz. Her father and grandmother were sent to the gas chambers. Her brothers died in Nazi forced labor camps. She and her mother were sent to various forced labor camps until they were liberated on May 8, 1945. But Ornstein did not come to talk about her personal history. She came to talk about lessons learned. She spoke first about how the democratic Weimar Republic following World War I was transformed into a fascist government with the rise of Hitler, and she had dire warnings about today’s political climate in the United States. She spoke of how democracy begins to erode first with small incidents and then rapidly escalates. As a young girl, she recalled being with a few of her girlfriends when they came upon hateful anti-Jewish slogans scrawled on a park bench. They said nothing about it. Ornstein regretted that because it was not long afterward that such incidents multiplied and turned violent. “Political issues that appear in the distance may become increasingly closer in time,” she quipped. As an example, she recalled that as soon as the new U.S. administration came into office in 2017, Pres. Donald Trump imposed a Muslim ban. It was met with fierce resistance, said Ornstein. “But in October 2018, there’s no resistance” when thousands of U.S. troops are ordered to Mexico’s border with the United States to head off a “non-existent threat” of impoverished immigrants walking toward Texas. “It’s in the air,” warned Ornstein.  “Do not look away. Do not get used to it. These are the early signs of how a democracy can be undermined and destroyed. It can be dismantled in a slow, methodical way. While Ornstein believes there are good reasons to compare Germany in the 1930s to today, she noted a key difference: in contemporary America, non-Jews are standing up for Jews. She noted the many gentiles in the audience who had come in solidarity with Jews. Also, the institutions – the police, the government – make America in 2018 different from Germany in the 1930s. As a child growing up in Morristown, New Jersey, Schusterman never felt insecure about America. “But I did grow up with the extreme fear of the Holocaust,” she added. She knew that her grandparents had fled from the Nazis in Poland, and throughout her childhood Raizel would ask her grandmother to tell her about her ordeal. “Last week, my biggest nightmare came true,” she said, referring to the Tree of Life tragedy in Pittsburgh. “That’s unacceptable. It’s not enough just to stand up against anti-Semitism. We have to live like Jews,” she said.